Flash video (FLV) provides an excellent solution for Internet video sharing and streaming. As the most popular video converter, Any Video Converter can convert AVI, MPEG, RMVB, RM, MKV, MOV, VOB, WMV and 3GP video files to FLV that can be used online or through networks, as well as convert FLV to 3GP, AVI, MP4, WMV and MPEG. Convert FLV to flash slideshow. If you want to play the Flash video on your local computer, you can try this Free FLV Video Player! If you are running Windows, you can use this free FLV converter to convert FLV video to MP4 video first and transfer the MP4 video files from computer to your iPhone/iPad/iPod touch with our free Syncios iOS Manager, which is the best alternative to iTunes. It's not easy to find a free FLV converter for Mac OS, but here is the right place to download a free FLV converter for Mac which is compatible with Mac from Snow Leopard to latest Marvericks. Tips: Apart from converting videos to other formats, there is need to convert DRM-ed audio files to plain formats. #1: Convert Apple Music songs to MP3. iTunes DRM Audio Converter (For Windows | For Mac) emerges as required to help convert many types of music files. It is an all-in-one iTunes audio converter to convert Apple Music files, DRM-ed audiobooks and M4P files at 5X faster speed with lossless quality kept. #2: Convert Spotify music to MP3. Spotify Music Converter is specially designed to convert Spotify music to MP3, AAC or WAV on Mac. With industry-leading DRM decrypting technique, this audio converter enables maximum 5X speed and 100% lossless quality while converting. The best FLV Converter to convert flash video files! 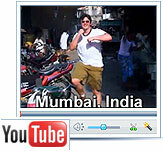 AVI, VOB, RMVB and other video files have served as great resource for FLV videos. Any Video Converter can help you convert this large quantity of video files to FLV. With this FLV converter, you can convert MPG, DV, AVI, RMVB ASF, VOB and MKV files to FLV files, burn FLV videos to DVD. Any Video Converter can also convert all supported formats to MP4 videos for Zune, PSP, iPod, Apple TV, 3G cell phones, and convert to MPEG-1, MPEG-2, WMV and FLV. It can also extract audio form video files to MP3. Portable media players and mobile phones commonly support AVI or MP4 formats. PSP, iPod and Zune support MP4 format. You can convert downloaded FLV files to MP4 or AVI format for playback on your PMP or mobile phone. Any Video Converter support custom AVI profile, which means your can virtually convert FLV to AVI format for any device that supports AVI, simply adjust the video size option. WMV is natively supported by Zune and Xbox. Any Video Converter can convert FLV to Zune WMV. And the converter support custom WMV profile. You can customize WMV profile for Xbox and any other device that support WMV format. FLV to WMV Converter is an easy-to-use software to help you convert FLV files to WMV, which can be enjoyed on Zune, Xbox360, Dell Player, BlackBerry, iRiver, Creative Zen, Gphone etc. with family member or friends around. FLV to WMV Converter also supports batch conversion as well. Meanwhile, you can also merge several flv files into one wmv video, it's very convenient! Besides, you are even allowed to set your own encoding parameters including resolution, bit rate, frame rate, aspect ratio, to get the best video quality. You can also extract audio from mod video and snapshot desirable scenes which can be saved as *.png image format. FLV files can be converted to 3GP format in a number of ways. With Any Video Converter, it’s fast and reliable to transcode FLV files to 3GP format for your 3G smart phones, whether you get the FLV files from video sharing sites like YouTube, or from other sources. What’s more, Any Video Converter can convert AVI, MPEG, MOV, MKV, WMV, 3GP and RMVB videos to FLV format compatible with YouTube and other video sharing sites. FLV to 3GP converter is the best FLV conversion software that helps you convert from FLV to 3GP/3GPP/3GPP2 and other popular video format.In this way, you can feel free to save your favorite FLV videos from YouTube to your cellphone. Moreover, with the coming out of iPhone and Zenzui, 3GP shall be the best friend. Download many online videos in FLV format, like Youtube? Want to burn them to DVD and play on TV? Any Video Converter can convert FLV to DVD that can playback on both PAL and NTSC systems. Or you can choose AVCHD 720P Movie(*.m2ts) or AVCHD DVD 1080P Movie(*.m2ts) under AVCHD DVD Movie profile according to your DVD Player. Any video converter supports burning video to CD-R, CD-RW, DVD-RAM, DVD+R, DVD+RW, DVD+R Dual Layer, DVD-R, DVD-RW, DVD-R Dual Layer, random access writes. Note: If you need to add DVD menu and background music and image to your DVD, please go for Any Video Converter Professional version. If you want a Video to Flash Converter which is able to convert any video to FLV format,and play FLV movies freely, Video to Flash Converter would be your best choice. It can publish FLV on MySapce or other blog websites very easily; associate FLV files and let you double click on an FLV video to open watch FLV movie immediately; inject FLV meta data to web pages to help site visitors watch FLV movie smoothly. Any Video Converter can not only convert FLV to any format you need, but also convert AVI, MP4, WMV and more to FLV perfectly. You may simply choose ouput profile "Flash Video" > Flash Video Movie(*.flv) as your output format to get FLV output video. FLV is the file extension of Flash Video. FLV can be embedded within SWF files. And because the Flash Player runs as a browser plug-in, FLV videos can be watched on web browsers with Flash Player plug-in installed. Most of videos from YouTube and Google Video were in the format of FLV a few years ago. Now FLV is also widely used to carry online video contents. FLV file itself is fully-functional on its own and can be played or converted to other formats from local storage such as a hard disk or a CD. With Any Video Converter, you can convert FLV to MP4, WMV, AVI, MPEG-1, and MPEG-2 videos. H.264, AAC, the MP4, M4V, M4A, 3GP and MOV, 3GPP Timed Text are all supported by Flash Video. FLV adopts the variant H.263 video standard. The latest Flash Player 9 can support H.264 video standard. H.264 is also known as AVC, or MPEG-4 part 10. H.264 can offers significantly better quality and bitrate ratio. Audio in FLV files can be encoded as MP3 or AAC. Most media players based on the FFmpeg can play FLV files. A shortlist of media players that can play FLV files: Windows Media Player, RealPlayer, MPlayer, Media Player Classic, VLC media player, QuickTime, and any player that based on FFmpeg. 1. How to Transfer your Videos to your iPhone/iPad/iPod Touch? When you download, record or convert a lot of videos but want to watch them on your iPhone/iPad/iPod Touch, we would like to recommend you a freeware to transfer your videos. Syncios iPhone/iPad/iPod Manager is a free iTunes alternative, which can easily manage iPhone, iPad and iPod without iTunes and transfer music, videos, photos, apps, ebooks, contacts, messages and more between iOS devices and Windows PC. Learn More: How to transfer movies to iPhone, iPad and iPod Touch? 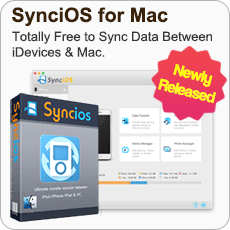 Download Free Syncios iPhone/iPad/iPod Manager to have a try! Both Windows version and Mac version are available! 2. How to Convert iTunes DRM M4V to FLV? iTunes videos are encoded as M4V files, which are tightly protected by Apple FairPlay DRM. The DRM-ed M4V videos are limited from playing on non-Apple devices and sharing online with your friends. To free iTunes videos from any restriction, you can convert the M4V videos to plain video format, such as FLV. To convert M4V videos to FLV format, you can seek help from the reliable and easy-to-use NoteBurner M4V to FLV Converter (For Mac & For Windows) which is a professional and powerful M4V Video Converter. It can convert m4v videos not only to FLV formats, but to MP4, MOV, AVI, WMV, MP3, AAC, ect. Download the trial version of NoteBurner M4V Converter Plus to have a try! Both Windows version and Mac version are available to download.